Just when it seems like Mario Maker creators shouldn’t be able to surprise me anymore, along comes a clever level like Get the Ball into the Goal. likandooTV on YouTube recently played through the whole stage, which he appropriately dubbed “Super Fifa maker” in his video. 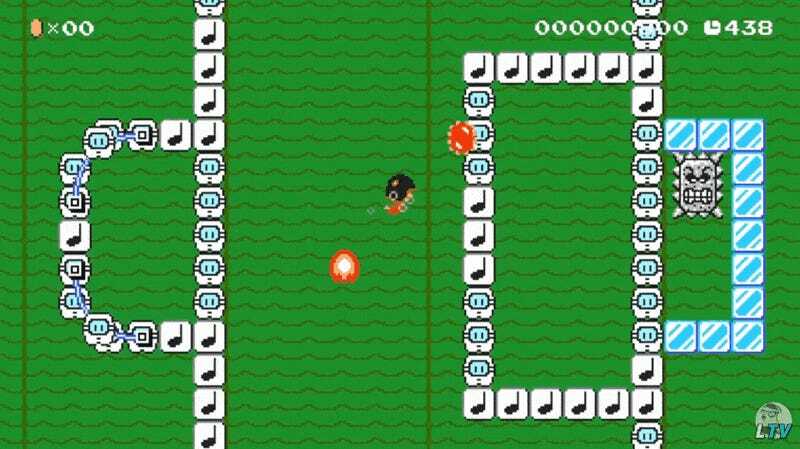 To recreate soccer within the limitations of Mario Maker, level designer Umut_POW got creative. The helmet protects Mario, letting him bounce a circular enemy forward. Thing is, in order for him to progress and beat the level, he needs to kill that enemy to unlock a key. That’s a really big problem for Mario; he’s floating underwater, so options are limited. Brilliantly done, Umut_POW. You can play the level yourself here.